This chain drive conveyor is 24 inches wide by 40 Ft. and sets on its own transport . It is powered by a 6 Hp. Honda engine and is raised and lowered with a Hyd. cylinder. This machine will handle even the largest firewood stacking needs. It is designed to fit directly under the splitter trough of our Processors. List price is $11,500.00. Call Anthony @ 866-345-4433 or email anthony@dynaproducts.us . This unit is now sold,. However Please give us a call to discuss which size Conveyor will best fit your application. 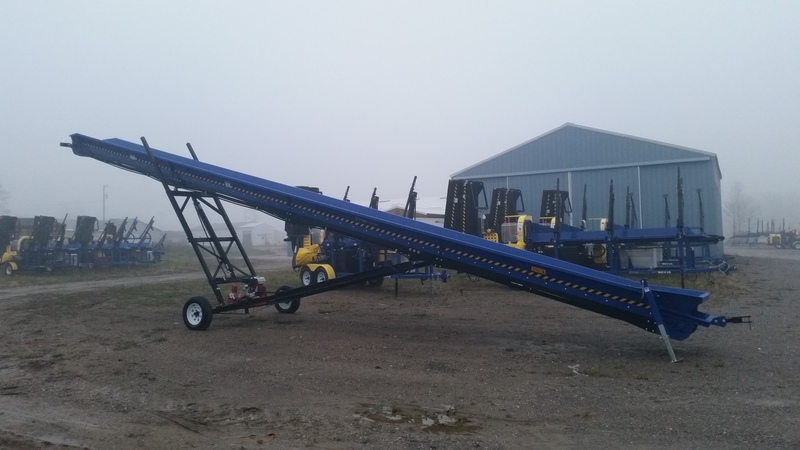 We offer conveyors from 12 Ft. to 40 Ft.